The Ecological Society of America recognizes Michael T. Kohl, Benjamin J. Wilson, and Emily E. Ernst for awards for outstanding student research. The Murray F. Buell and E. Lucy Braun awards are given for exceptional presentations at the 102nd Annual Meeting of the Society in Portland, Oregon in August 2017. The Forest Shreve Research Fund award supports graduate or undergraduate student ecological research in the hot deserts of North America. 2017 Buell Award winner Michel T. Kohl. Photo courtesy of Kohl. Murray F. Buell had a long and distinguished record of service and accomplishment in the Ecological Society of America. Among other things, he ascribed great importance to the participation of students in meetings and to excellence in the presentation of papers. To honor his selfless dedication to the younger generation of ecologists, the Murray F. Buell Award for Excellence in Ecology is given to a student for the outstanding oral paper presented at the ESA Annual Meeting. Award panel members honored Michel T. Kohl with the 2017 Murray F. Buell award. 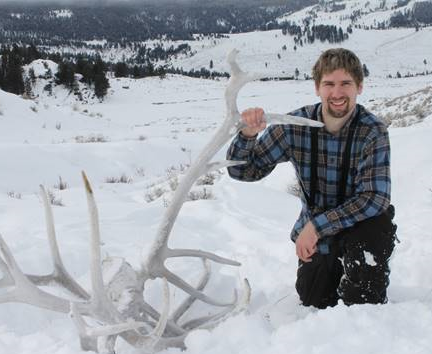 Kohl is now a postdoctoral fellow in the Jack H. Berryman Institute at Utah State University after receiving his PhD this past year. His oral paper investigated whether elk in Yellowstone National park selected their habitat based on the activity schedules and space use of their predators, cougars and wolves. He found that elk frequented open areas at night when wolves were not as active, but selected forested areas in the day when cougars were not as active. Together, this allowed elk to avoid both predators simultaneously while still providing access to high quality forage. Judges were impressed my Michel’s thorough background information, his compelling analyses, and great answers to post-presentation questions. 2017 Buell Honorable Mention Hayley R. Tumas. Photo courtesy of Tumas. A Buell award honorable mention is awarded to Hayley R. Tumas, who received her PhD last month at the University of Georgia. Tumas used microsatellite markers to investigate genetic diversity and population connectivity in Juncus roemerianus, a dominant foundational plant species in Gulf coast salt marshes. 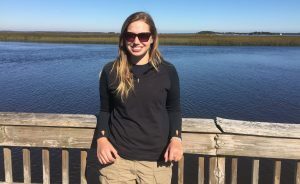 Her results could inform coastal restoration and management to conserve natural levels of diversity in Juncus populations. Judges enjoyed her clear and engaging style, her careful pacing, and her thorough knowledge of the study ecosystem. 2017 Braun Award winner Benjamin J. Wilson in the wetland field. Photo courtesy of Wilson. Lucy Braun, an eminent plant ecologist and one of the charter members of the Society, studied and mapped the deciduous forest regions of eastern North America and described them in her classic book, The Deciduous Forests of Eastern North America. 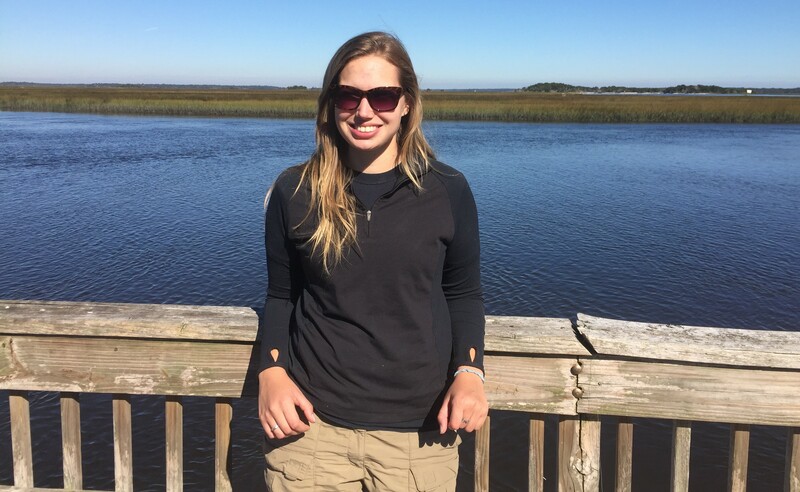 To honor her, the E. Lucy Braun Award for Excellence in Ecology is given to a student for the outstanding poster presentation at the ESA Annual Meeting. Papers and posters are judged on the significance of ideas, creativity, quality of methodology, validity of conclusions drawn from results, and clarity of presentation. 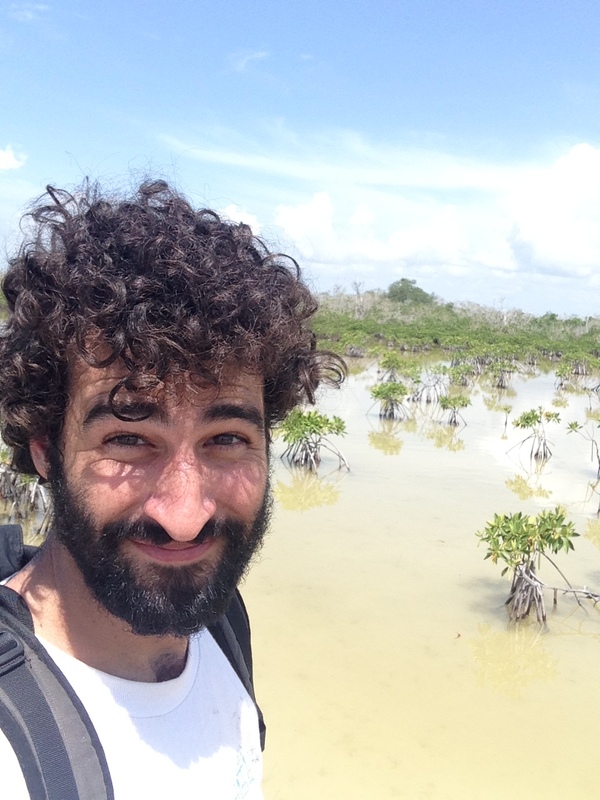 The 2017 E. Lucy Braun award was won by Benjamin J. Wilson, a postdoctoral researcher at Florida International University, who recently defended his dissertation entitled, “Drivers and Mechanisms of Peat Collapse in Coastal Wetlands.” Wilson’s poster presented research findings centered around exploring if the negative impacts of saltwater intrusion in the Everglades could be offset by the increase in phosphorus load that accompanies such events. He found that gross and net ecosystem productivity both increased with saltwater influx, possibly due to the associated increases in phosphorus. However, salt negatively impacted root growth and led to an overall decrease in elevation. Judges were impressed by Benjamin’s clear explanations, great visualizations, and careful execution of his experiments. 2017 Forest Shreve Research Award winner Emily E. Ernst. Photo courtesy of Ernst. Dr. Shreve was an internationally known American botanist devoted to the study of the distribution of vegetation as determined by soil and climate conditions, with a focus on desert vegetation. 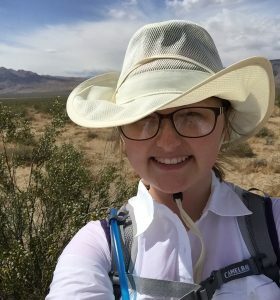 The Forest Shreve award supplies $1,000-2,000 to support ecological research by graduate or undergraduate student members of ESA in the hot deserts of North America (Sonora, Mohave, Chihuahua, and Vizcaino). ESA awards Emily E. Ernst with the Forest Shreve Research award. Ernst is a PhD candidate studying Ecology & Evolutionary Biology at Iowa State University working under the mentorship of Dr. Kirk Moloney. She is studying two problematic exotic grasses of the Sonoran and Mojave deserts, Schismus arabicus and Bromus rubens, and how the microhabitats beneath creosote bush may affect the distributions of these invaders. She is also investigating how their invasion may affect the pathways for potential desert fires to spread. She will use her award to better characterize microhabitat soil nutrient and water availability. Ecologists from 50 U.S. states, U.S. territories, and countries around the world will converge on New Orleans, Louisiana this August for the 103nd Annual Meeting of the Ecological Society of America. Up to 4,000 attendees are expected to gather for thousands of scientific presentations on breaking research and new ecological concepts at the Ernest N. Morial Convention Center on August 5th through 10th, 2018. The Ecological Society of America (ESA), founded in 1915, is the world’s largest community of professional ecologists and a trusted source of ecological knowledge, committed to advancing the understanding of life on Earth. The 9,000 member Society publishes five journals and a membership bulletin and broadly shares ecological information through policy, media outreach, and education initiatives. The Society’s Annual Meeting attracts 4,000 attendees and features the most recent advances in ecological science. Visit the ESA website at http://www.esa.org. This entry was posted in Press Release and tagged annual meeting, awards by Zoe Gentes. Bookmark the permalink.